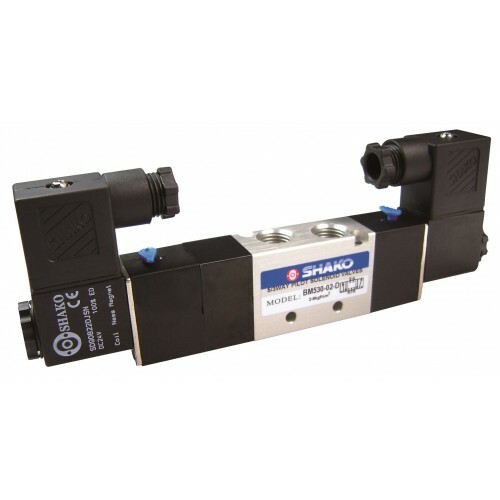 5/2 way single or double acting, 5/3 way standard or exhaust centre or pressurised centre port. Port 1/4" BSP,NPT thread. Can be manifold mounted 2 to 10 stations. 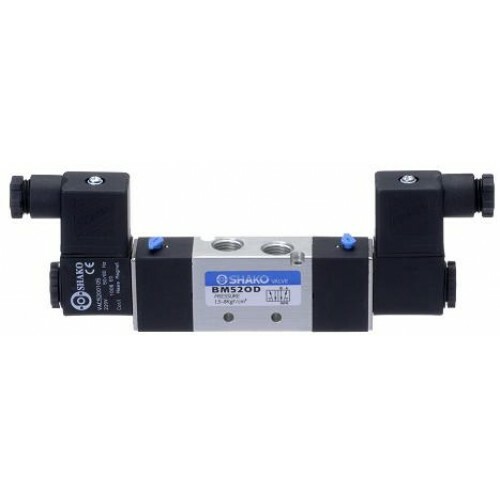 Medium size, 22mm width solenoid valve, large flow rate. Pressure 0.5 to 8 bar, test pressure 10 bar. Anodized aluminium body and strict quality control provide a long durability. IP65 Class F 100% duty rated coil DIN43650A or flying lead wire, option ATEX EExmIIT4 22mm or 30mm width, ATEX CSA approved 36mm width. Temperature range ambient -10C to +50C. Most coil voltages available 24vdc, 110vac or 230vac, other voltages please ask. 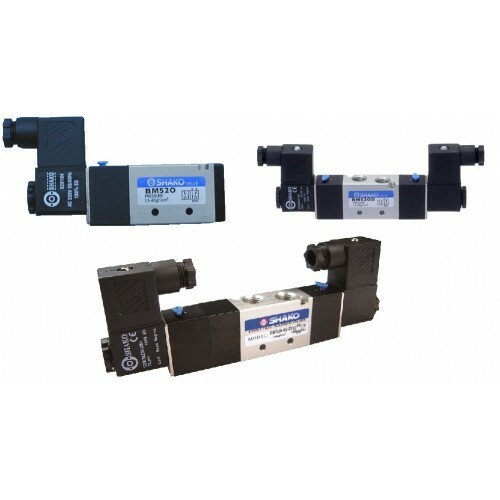 Pilot Solenoid Valve 5/2 5/3 WayShako BW520-03-S(D) BW530-03-D Port sizes 3/8" BSP, RC or NPT t..